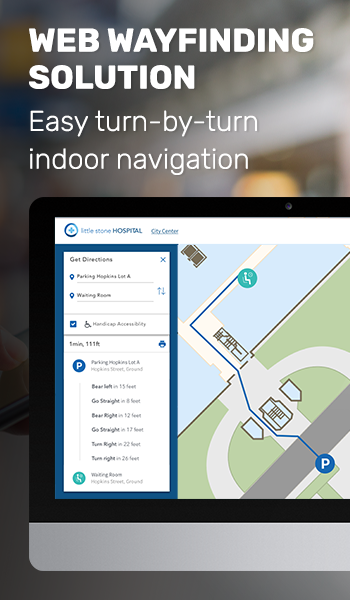 Let users generate turn-by-turn indoor routing directions at your facility for easy navigation. Phunware’s web wayfinding solution is an affordable solution to navigation challenges in your facility and an easy way to enhance the on-site experience for visitors, shoppers, patients, etc. Download the feature sheet to learn more and then contact us to learn how to deploy web wayfinding at your facility. Talk to a Location-Based Services expert about web wayfinding today.